With a name like "The Royal Palace" ("le Palais-Royal"), you would think it would be a) royal, b) a palace, and c) a major tourist site. In fact, the answer is d) none of the above. But the kids love it anyway. The Royal Palace was originally the Palais-Cardinal, built for Cardinal Richelieu, an important minister under King Louis XIII, who wanted to be near the Louvre. He moved in to the mini-palace in 1629. Before his death, he donated the castle to the King, making it the "Palais-Royal". No king ever ruled from here, although Louis XIV lived here as a young child with his mother (by then regent) and brother. Other family members and courtesans lived here afterwards, and with the revolution and constant fluctuation of power, ownership has changed hands many times. In 1652, the Queen of England in exile lived here. And the "royalty" that interests me most: Moliere produced nearly all of his plays here up until 1673. And it was here where he caught the illness from which he died -- ironically after a performance of Le Malade Imaginaire (The Imaginary Invalid). Most of what we're seeing, however, is not even the palace, as much of it was burned in 1871 by the Paris Commune, in protest against its then-owner, the Orleans line of nobility. It had already been in use by the late 18th century as a cash-cow for the cash-strapped Louis-Philippe of Orleans, and it was rebuilt as apartment buildings, boutiques, and cafés, until he was beheaded in 1793. Therefore, it was never the seat of royalty, it's not currently a palace, and, though it is right next to the Louvre, most tourists don't every venture behind the street shops to see this hidden courtyard. 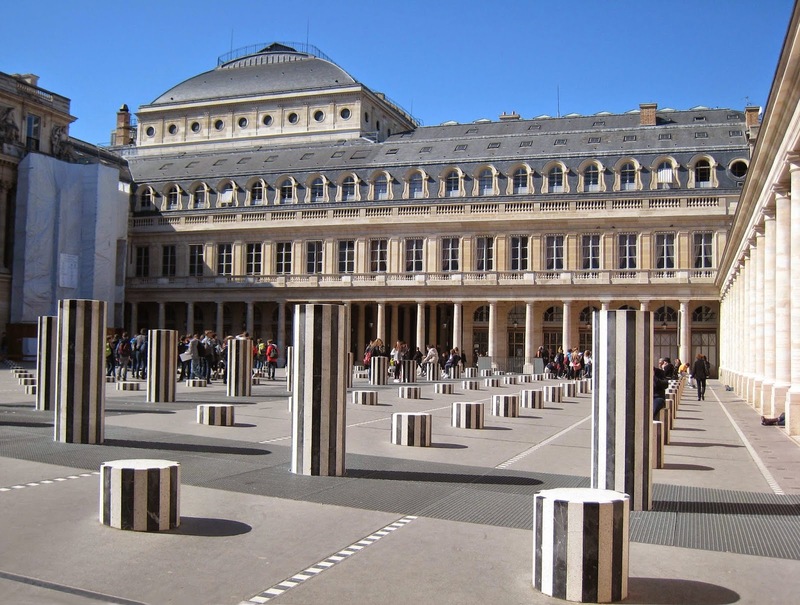 The kids could not care less about the history; they love it because of the pillars in the courtyard -- row after row of black and white stone pillars of varying heights. These are a modern addition, put here in 1986. There are probably a hundred games to invent with these, and your kids will probably come up with the same big two ours did: trying to climb to the highest ones possible. And trying to run on or over them, like stepping stones. Either way, they're photogenic (the kids and the pillars, that is). Corrèzon can be all white, or coated in dark black ash, like the sample I taste. 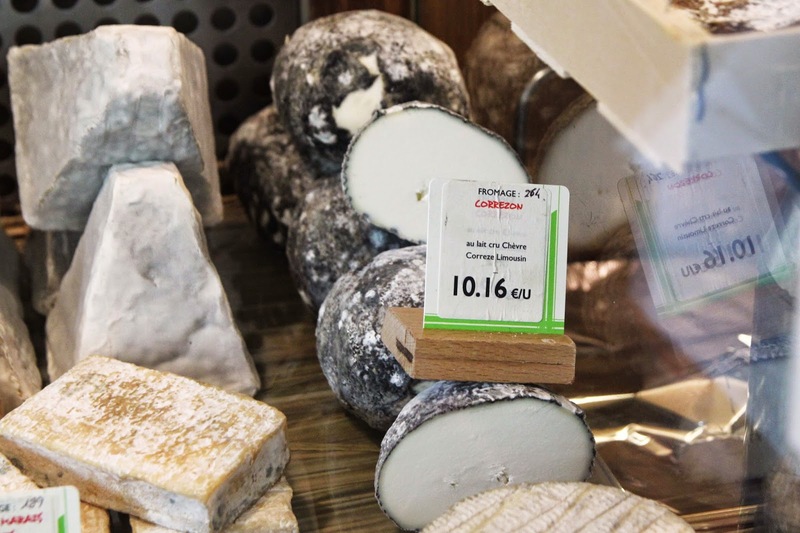 It's a raw goats' milk cheese, who name is derived from the fact that it's made in a similar way to a Gouzon cheese (from a town of the same name in the department of Creuse in the region of Limousin) but is made in the department of Corrèze, also in the region of Limousin. The ball is hand-wrung in cloth bags to squeeze out the liquid and left to drain for two days. Once it's salted, it's aged 1-3 months. It's a lovely goat cheese, mellow and creamy. The black ash on the outside is striking, but not scary. In fact, other than forming a fine, delicate crust, the taste is not even noticeable. 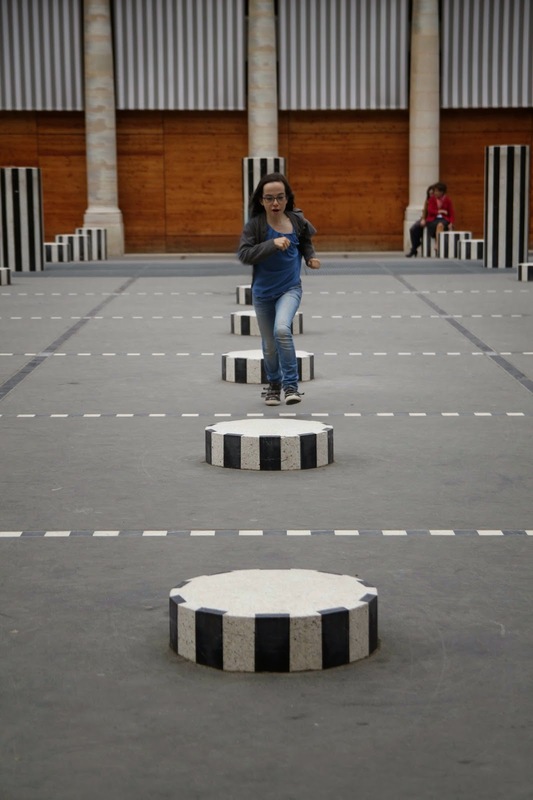 Like the columns the kids like to climb at le Palais-Royal, Corrèzon is a striking jet black and white.